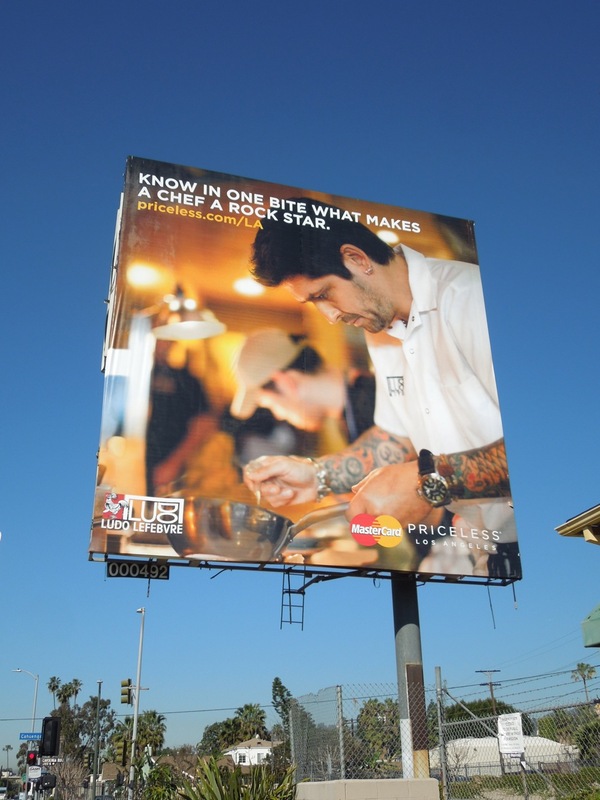 Advertising from the financial world can often be a little dull and unimaginative, concentrating too much on the best interest rates or trying too hard to get one step up on the competition all the time. 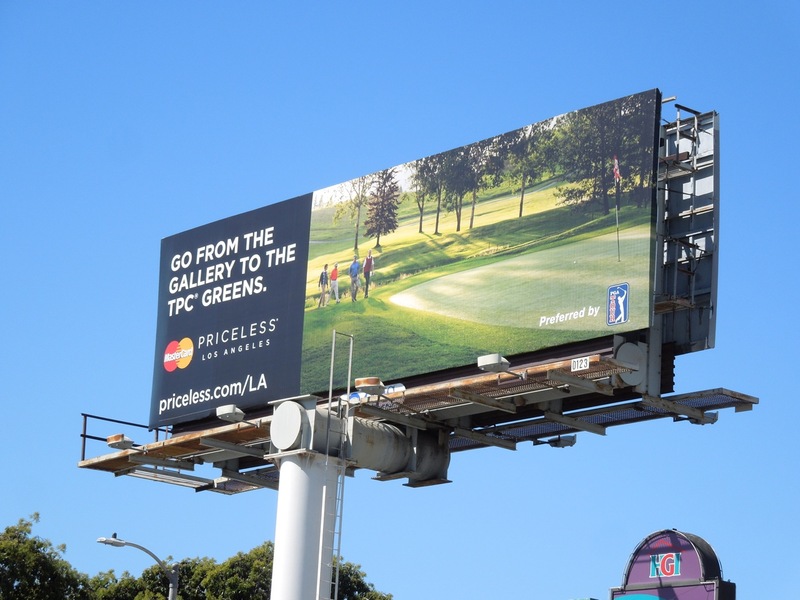 That's why Daily Billboard has long been a fan of MasterCard's 'Priceless' ad campaign which focuses more on people's hopes and dreams, especially money-can't-buy experiences. 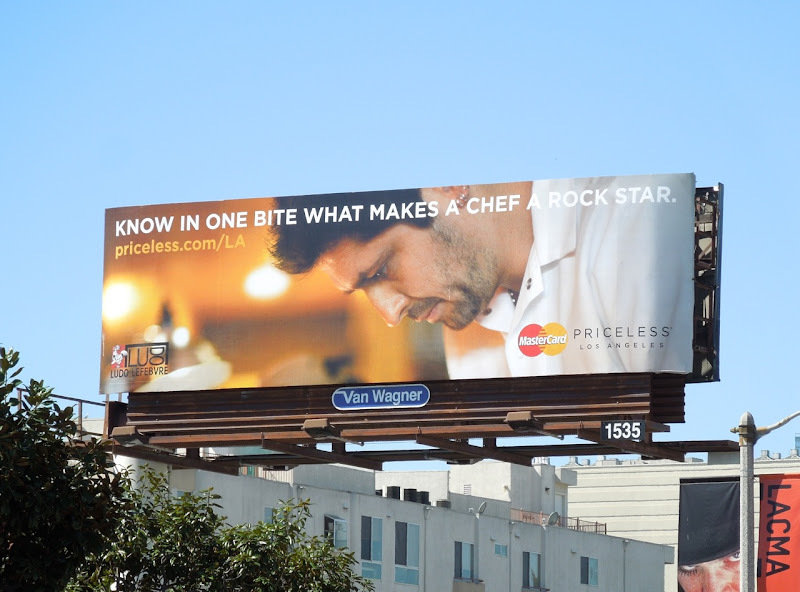 These latest billboards around L.A. highlight the added benefits of using your MasterCard, whether it be access to exclusive culinary events, or other cultural or sporting adventures. 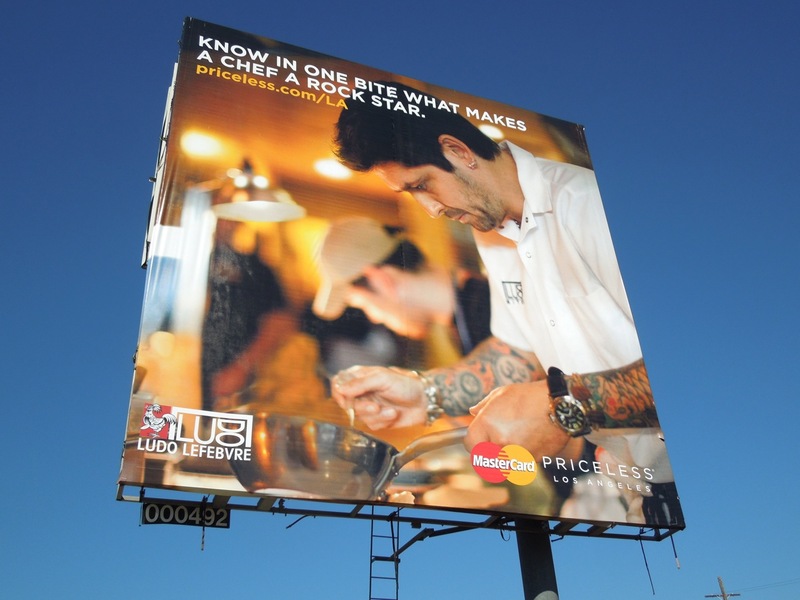 The chef creative featuring Ludo Lefebvre was spotted along Beverly Boulevard and Fountain Avenue, whilst the golf course billboards were snapped along Sunset Boulevard and La Cienega Boulevard from March 9 to March 13, 2013. 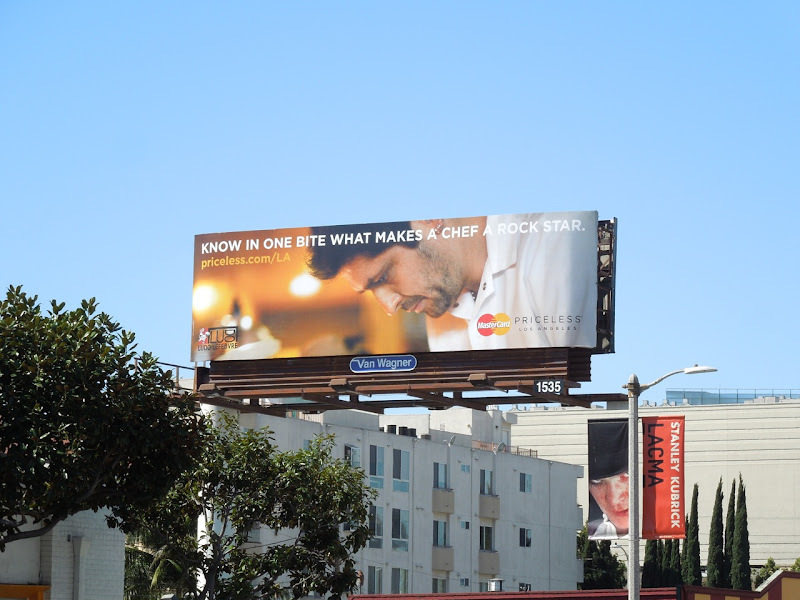 If you like these ads, you can check out more financial services advertising examples here at Daily Billboard. 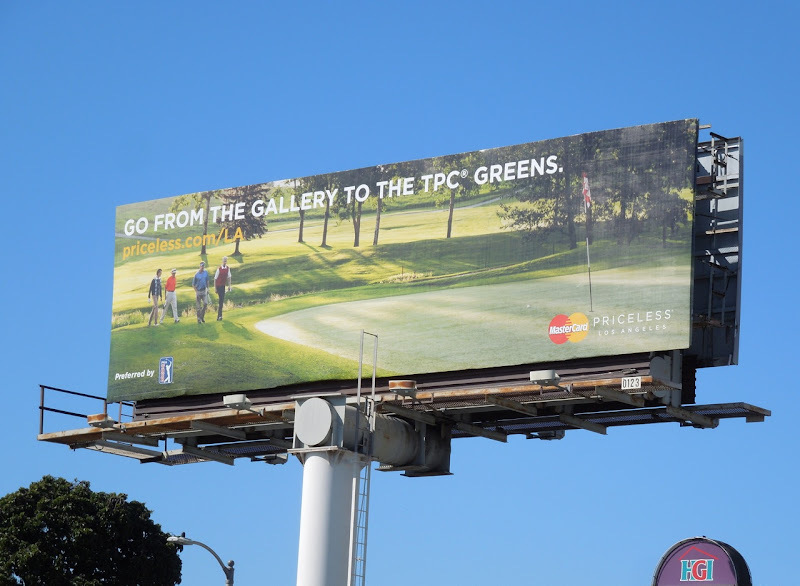 UPDATED: Here's a rejigged version of the 'gallery to the TPC greens' creative, which looks much more corporate in black, but a bit more legible at the same time. 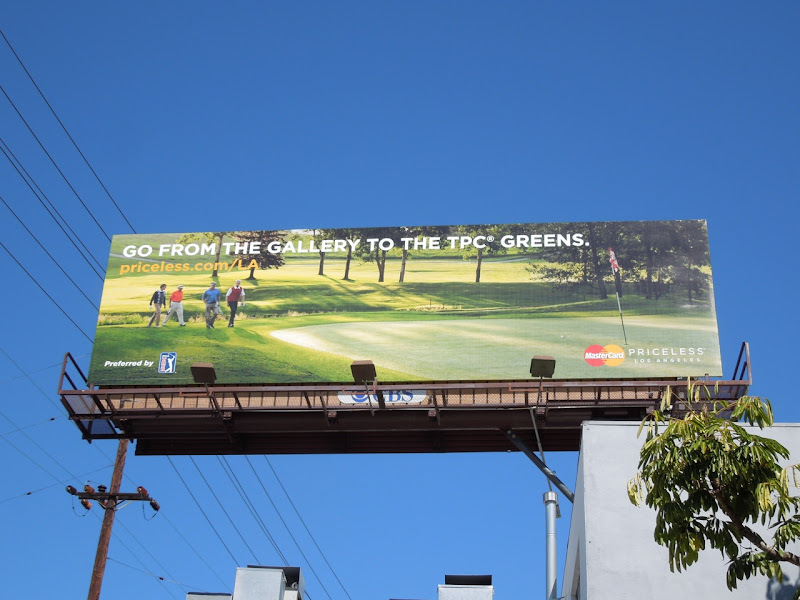 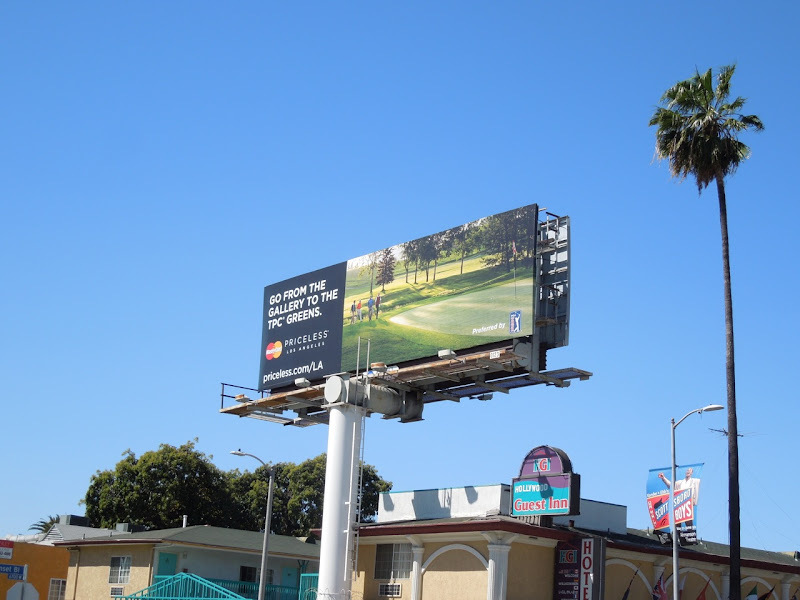 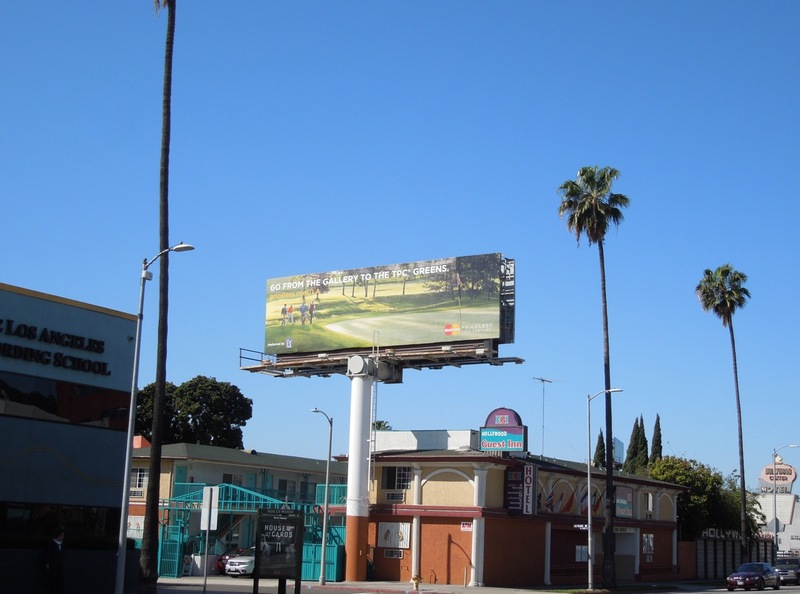 This slightly redesigned MasterCard billboard was snapped in the same location along Sunset Boulevard in Hollywood on April 9, 2013.